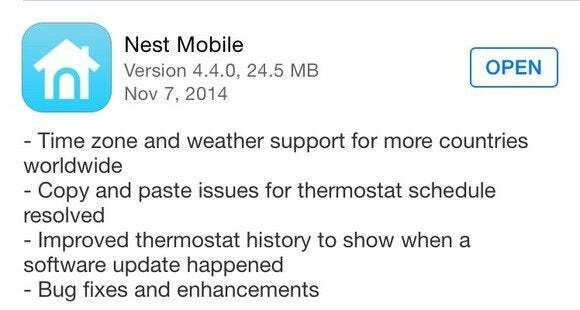 UPDATE: Nest issued a 4.4.1 update to fix the problem later this afternoon. One of my favorite things about having a Nest Learning Thermostat is the ability to crank up the heat on cold San Francisco nights using my iPhone—without having to venture downstairs like a chump. Or at least it was, until an update to the Nest Mobile iOS app on Friday caused the app to crash upon launch for me. 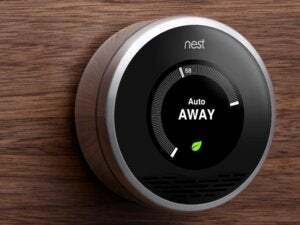 A quick check of the Web showed me I wasn’t alone, and Nest acknowledged the problem on Twitter and in response to customer complaints on its community forums (although not on its company blog), and took the additional step of removing the 4.4.0 update from the iOS App Store–a search currently doesn’t display the Nest app at all. We’re currently investigating an issue causing the Nest iOS app version 4.4.0 to quit unexpectedly. We’ll provide a status update shortly. The app update comes on the heels of a major software update announced on Tuesday that includes a new algorithm for figuring out how you like the temperature set in your home and then making those changes automatically, as well as new a viewing mode for easier access to information about energy savings and the weather, and a new test mode to make sure the device is working properly. This is the 4.4.0 update that was pulled. 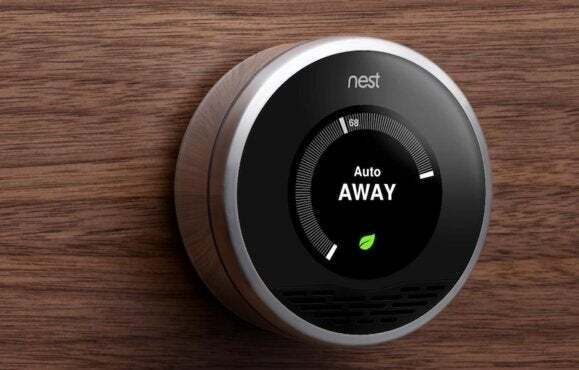 Nest was founded by Tony Fadell–who lead the team responsible for creating both the iPod and the iPhone–and sold to Google in January 2014 for the paltry sum of $3.2 billion. Fadell also took to Twitter on Friday to assure customers the company was aware of (and working on a fix for) the problem. Update at 5pm Pacific: Version 4.4.1 is out, and works fine.